Tropical storms are expected to hit the Miami area as early as Friday, Therefore theU.S. Fish and Wildlife Service Miami Wildlife Inspection Office located at 3701 N.W.82nd Ave., Unit #1 Doral, FL 33166 will be closed on Thursday September 7, 2017 and Friday September 8, 2017 until Sunday September 10, 2017. We are planning to reopen on Monday September 11, 2017, which is subject to change based on storm conditions and potential operational damage to our office. For any PERISHABLE shipments that require immediate assistance please call the duty cell phone at (305) 632-4824. Thank you. As we prepare for the potential of Irma making landfall or coming in close proximity to the Florida peninsula I’m sharing the following FDA information on how to be prepared and know the proper food safety precautions to take before, during, and after a power outage. Additional Resources on how to take precautions ensuring the safety of medical devices, insulin storage/switching, medications, pets and others. Based on current information, we anticipate closing the park and campground in preparation for the storm on Thursday, September 7th. Please be prepared to exit by Noon. Any remaining days will be rescheduled or refunded. We will reopen the campground when the storm has passed and it is safe to reenter. Please follow our website, www.portcanaveral.com and our Facebook page for further updates. Port staff will remain in contact with Manatee County Emergency Management and the U.S. Coast Guard as the storm approaches. All port tenants and terminal operators should review their hurricane plans and begin storm preparations. At this time, Miami-Dade County is monitoring Hurricane Irma. Please visit our Emergency website for the latest information on openings and closings in Miami-Dade County. Please be advised that we have activated our Hurricane Central. 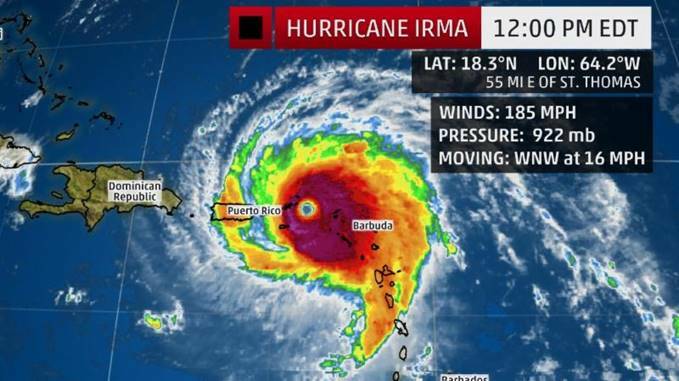 During the hurricane season, teams of Tropical’s employees are ready, both on the ground and in our corporate offices, to assist businesses, individuals and governments in The Caribbean and The Bahamas to secure emergency relief supplies. Our focus is on the safety of all individuals and facilitating the continuity of business following any disaster. Take due diligence to prepare for potential storm impacts. Begin removing all debris and secure potential flying hazards. Implement Container stacking plans. Reduce stacking height to no more than four high and no more than two high for hazardous materials. Facilities that are unable to meet these requirements due to space constraints must submit a container stacking protocol to the Captain of the Port (COTP) Miami for approval at 305-535-4472. Oceangoing vessels moored or at anchor should be prepared to get underway. Hazardous materials should be removed from areas prone to flooding.